A Charlie Brown Christmas Blu-ray movie is a wonderful movie to watch on Christmas for kids. This movie could teach kids the true meaning of Christmas. 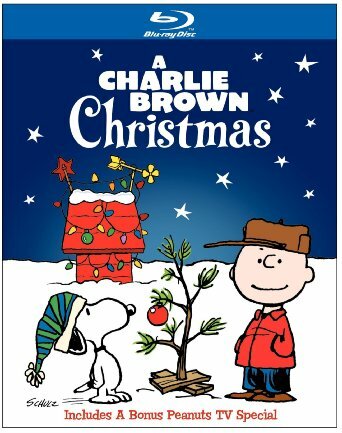 This guide makes a brief introduction to A Charlie Brown Christmas and shows you the detailed steps on how to convert A Charlie Brown Christmas Blu-ray movie to videos so that you could easily and freely watch A Charlie Brown Christmas HD movies on your own iPad, iPhone 6, iPhone 6s, iPhone SE, Android tablets, etc. Part 2: How to Rip and Convert A Charlie Brown Christmas Blu-ray Disc? A Charlie Brown Christmas is an animated television special based on the comic strip Peanuts, by Charles M. Schulz. Produced by Lee Mendelson and directed by Bill Melendez, the program made its debut on CBS on December 9, 1965. In the special, lead character Charlie Brown finds himself depressed despite the onset of the cheerful holiday season. Lucy suggests he direct a school Christmas play, but he is both ignored and mocked by his peers. The story touches on the over-commercialization and secularism of Christmas, and serves to remind viewers of the true meaning of Christmas (the birth of Jesus Christ). To rip and convert A Charlie Brown Christmas Blu-ray Disc, you need to take advantage of a third-party Blu-ray converting tool. The Blu-ray converting tool used in this guide is Leawo Blu-ray Ripper, a professional Blu-ray ripping and converting program that could rip and convert A Charlie Brown Christmas Blu-ray movie to any video format as you like for any media player and device. It could convert A Charlie Brown Christmas Blu-ray movies disc/folder to videos in MP4, FLV, MKV, AVI, WMV, MOV or M4V for playback on Windows Media Player, iPad, iPhone, Android devices, or being uploaded to YouTube or blog, etc. 2. Computer with Blu-ray drive (if you want to convert A Charlie Brown Christmas Blu-ray disc). Step 1: Download, install and start it. Click "Add Blu-ray/DVD" button to browse and add A Charlie Brown Christmas Blu-ray movie to this Blu-ray Ripper. You could load A Charlie Brown Christmas Blu-ray disc from Blu-ray drive or A Charlie Brown Christmas Blu-ray folder from local drive. Full Movie, Main Movie and Custom Mode are available for loading source movie. Select one that meets your needs. Click the drop-down box (displayed in "MP4 Video" by default, see the below picture) next to the "Add Blu-ray/DVD" button, select "Change" option, and then choose a proper video format from "Format" tab or directly select one from "Device" tab as output format. Return to the main interface, click the green "Convert" button, set "Save to" option and then click the "Convert" button on the side bar. Leawo Blu-ray Ripper would start converting A Charlie Brown Christmas Blu-ray movies to video files on your PC. After conversion, you could easily play back the converted A Charlie Brown Christmas Blu-ray movie on your Windows Media Player with your kids or transfer it to your own portable devices for on-the-go movie enjoyment. 1. Why Internet connection is necessary to rip A Charlie Brown Christmas Blu-ray? If you are going to rip A Charlie Brown Christmas Blu-ray disc, you should connect your computer to Internet beforehand as decrypting and ripping encrypted Blu-ray disc requires Internet access. However, it is important that you consult your local laws and regulations before you rip encrypted disc as decryption is illegal. 2. Can Mac users use Leawo Blu-ray Ripper to rip A Charlie Brown Christmas Blu-ray? Leawo Software has already made it accessible for Mac users to rip A Charlie Brown Christmas Blu-ray by rolling out the Mac version of Leawo Blu-ray Ripper – Leawo Blu-ray Ripper for Mac.